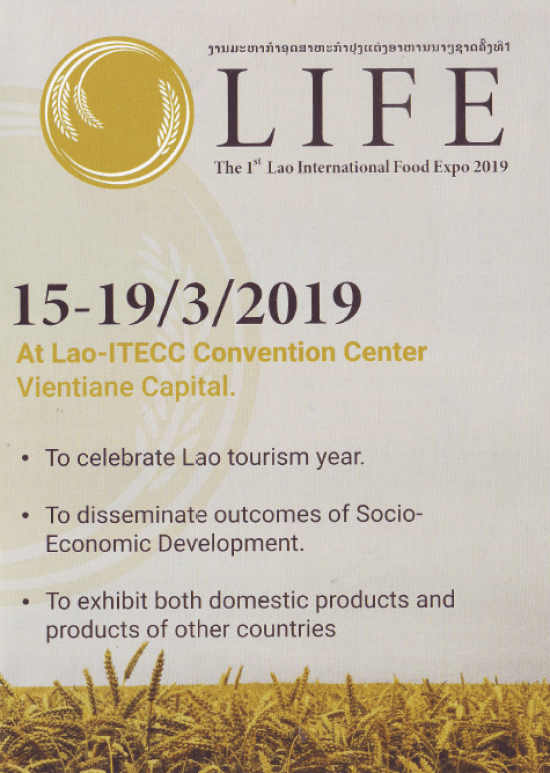 The 1st Lao International Food Expo 2019 is the national and regional Expo to upgrade agricultural products and also to implement National Socio-Economic Development Plan which focuses on promoting export products from agro-processing processing enterprises. Additionally, the Lao government also promotes export products of potential products including tea, coffee, rice and so on. The Expo will exhibit the processed food, organic vegetables, agricultural equipment, and agricultural machinery from many companies in agricultural industry and food industry of ASEAN countries. Technical seminars will also be organised on various topics to enrich knowledge of participants and open the consultation platform for old-age manufacturers and new-age manufacturers to exchange ideas and experience.